This photo was sent to me by James C. (J.C.) Wheeler, MSgt (Ret. ), U.S. Air Force. 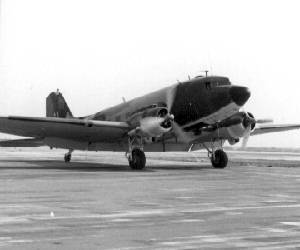 The aircraft is an EC-47, distinguishable by the radome on the nose and several other non-standard antennae. The photo dates to about 1966.